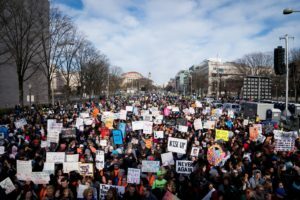 Can we all agree, today’s protests against gun violence in schools are already creating some change: the DOJ will ban bump stocks the new budget bill allows research on gun violence and Citigroup is taking a stance on guns? Can we all agree, when President Trump threatened to veto (and then signed) the last minute budget deal, it was just to keep the focus on him? He lost the battle – he really didn’t have any choice – Congress had left town. Can we all agree, the Saudi Crown Prince get what he wanted in his visit to the US – positive PR and billions in new weapons? Can we all agree, the administration’s efforts to curb nutritional labeling, as part of NAFTA negotiations, does not bode well for the continuing obesity epidemic in the US? 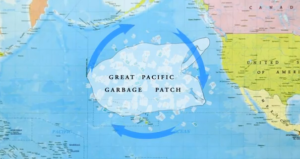 Can we all agree, the widening plastic garbage patch in the Pacific, should alarm us all, but since we don’t see it every day, or even while we’re 0n vacation in Hawaii, everyone ignores it? Can we all agree, Mr. Trump’s ‘edict’ on transgender troops is so confusing it is really meaningless? Can we all agree, anyone who is shocked that Facebook, whose business plan is based on selling personal information, was used by political campaigns, is just naive? Can we all agree, anyone who thinks there will be substantive changes to the Facebook business model, is just fooling themselves? Even if you mange to delete your account. Can we all agree, we will all get to judge, whether the driverless car was at fault in the fatal traffic accident in Arizona? Can we all agree, the verbal war of words between Mr. Trump and Joe Biden would be hilarious, if they were just schoolyard antagonists, but, like everything else, it has no place in politics? Can we all agree, we can try to ignore the latest staff changes at the White House, but the elevation of John Bolton, the architect of the war in Iraq, is truly frightening? Can we all agree, Sacramento protestors, need to keep the pressure on police to explain how an unarmed man, carrying a cellphone, can be shot 20 times in bis own back yard? Can we all agree, Mr. Trump’s trade war with China will turn out to be just a lot of hot air, just like his tariff’s on steel and aluminum? Can we all agree, changing lawyers will not help Mr. Trump’s defense against Special Counsel Robert Mueller? Can we all agree, aides might think the President was ignoring warnings not to congratulate Vladimir Putin, but they should know, he is incapable of reading anything in his briefing books? Can we all agree, it’s unfortunate that the heroic action of a resource officer in a Maryland school, will now be politicized in our gun debate? Can we all agree, we are all numb to new revelations of Trump trysts, but they make for great TV? Can we all agree, it would be easy to discount another celebrity running for office, but we already made that mistake more than once? Can we all agree, seeing Tiger Woods on a PGA leaderboard,will invigorate the sport – at least until he retires to the senior tour? Can we all agree, Saturday Night Live remains must-see TV for political junkies? Can we all agree, getting tough on drug dealers will not solve an opioid epidemic that starts in doctor’s offices? Can we all agree, throwing your wife under the bus, to defend your poor judgement, like HUD Secretary Ben Carson did this week, is not the way to foster a great marriage? Can we all agree, no one can really figure out if Cambridge Analytics even knew what to do with all the data they stole from Facebook? Can we all agree, even $10,000 travel vouchers , will not improve United Airlines image? Can we all agree, the least we should expect from the White House are press releases without misspellings and typos? But I guess that’s too much to ask of this administration. Can we all agree, The Pope seems to having a tough month, almost as bad as the former president of Peru? Can we all agree, the 2018 campaign for Congress has not even hit full steam and the 2020 campaign for President has already started in New Hampshire? If you are over 40, IBM is no longer the right place for you.